When I took up the job as an English teacher at Treamis World School, my father – a retired teacher, offered me lots of advice including “be friendly but not friends with your students.” I did not understand it anything beyond the wordplay. I now live on campus in quarters adjacent to the students’ dormitory. This means, I hear knock on the door at odd hours. Often they come to complain about something or to share their troubles or to ask for help with studies. Frequently, I even have to play their study partner which involves me asking the questions from their notes and hearing them answer. Although my experiences as a student were not quite like that, there is nothing out of the ordinary in these. But what really surprised me is, often students come to me just for a casual chat. They talk about their family, friends, school and everything that fancies them at the time. But, they don’t specifically ask me for any inputs on those matters. They just want me to listen like a good friend. Being a teacher is more than an instructor. On a typical day, I don the roles of a facilitator, a comforter, a guide, a parent and a friend. Or, perhaps a good friendship should embody all these. I don’t mind being their good sounding board. But often they get carried away and try to gossip about their classmates and teachers. And that is where I draw the line and remind them that I am not their friend. Now my dad’s advice makes sense to me. I am an enthusiastic mom who loves to involve myself in my child’s learning process. Before my daughter could start her schooling, there used to be relevant questions and dilemma in my mind such as, ‘ What makes a classroom more active- a smart board or a smart mentor? How should a Gen Z classroom look like’, where I understand that the modern schools are expected to use digital tools in active ways.’ I reflected on the thought that is the new generation pattern of learning digressing from the ‘gurukul learning environment’ which I experienced. Today, I am happy to share with this generation parents, that I am no more confused. I cherish the way my daughter is learning in her school, which is a true international and child-centric place with respect to its learning environment with the same Midas touch of the gurukul system. I’ve seen that the lingo ‘digital classroom’, many a times, is wrongly perceived as ‘a student can learn better with a tablet in hand than pen-paper’. What it actually should signify is how proactively technology can be integrated in the learning process so as to complement the hands-on tools. No technological device has brains to comprehend and analyse my child’s specific needs. The device needs a master to program it so well that it can be rightly used at the right point of time to give the apt exposure to children, according to their subjective needs. And..the master is none but the mentor. Coming to a very common scenario now-a- days… children are reluctant to learn spellings, write on paper to express their thoughts but rather type in word pad where there is a spell check option. Students should introspect that the automated script for this option is also programmed by the human brains. I believe that it is the smart mentor whose enthusiastic presence, involvement and attachment with the class adds life to the lessons and help students have a long lasting knowledge. Smart use of smart boards facilitate the process just like a tool as peer group learning, experiential hands on and so on. Each student is unique and magical in his/her own way. It is the expertise of the mentor to move the wand in the right direction to get the magic out of the child! 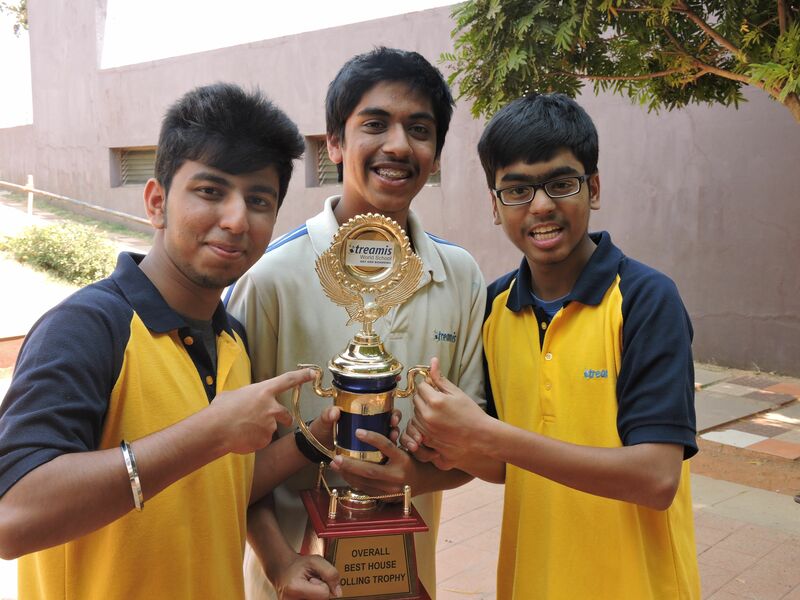 Winning the house cup is a big achievement – and big achievements require teamwork, perseverance and an all-round personality. 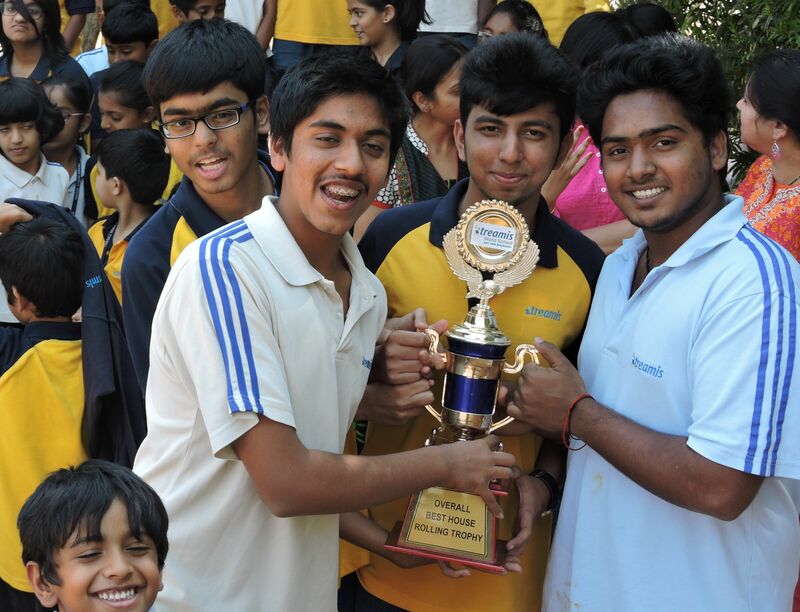 That’s what the Phoenix house students showed, whether it was in building the quickest human pyramid, having the courage to run 1600 meters or acting out a humorous play. 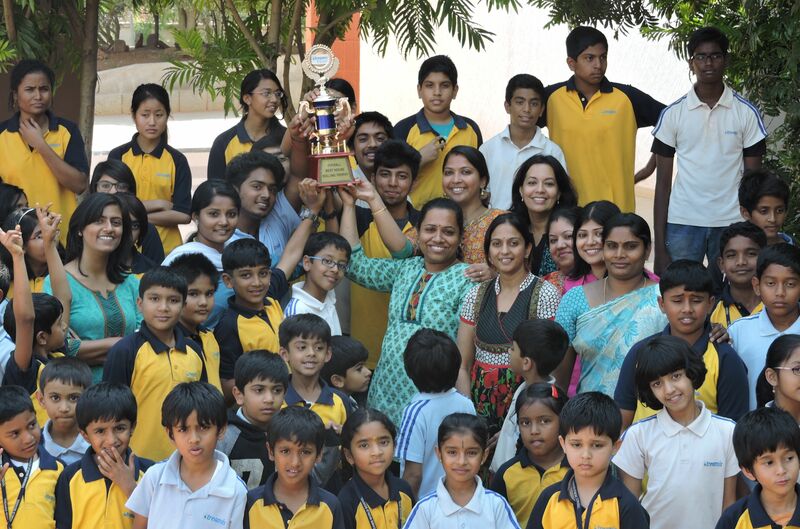 At the same time, the House mentors, Ms. Bindu and Ms. Ankitha, helped me greatly to manage and organise the team in every event that we participated in. 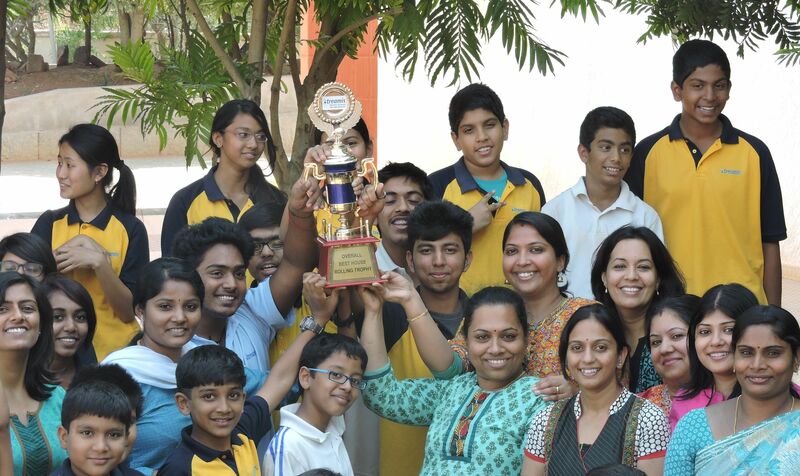 So, it was because of every student and teacher’s involvement that we won the Overall trophy. The constitution of India came into a legal circulation at 10:18 AM on the 26th of January, 1950 replacing the Government of India Act (1935) as the governing document of India. India, which was a British dominion since independence (August 15, 1947) transformed into Republic of India on January 26, 1950. Even though the constitution was adopted on Nov. 26, 1949, the date of January 26 was selected to commemorate Purna Swaraj, a declaration of Independence of India promulgated by the Indian National Congress on January 26, 1930 for complete self-rule (Home rule) independent of British Empire. The 308 members of the Assembly signed two copies of the document (one each in Hindi and English) on 24 January 1950. The official cost estimate for developing constitution was Rs. one crore. India has the longest written constitution of any sovereign country in the world, containing 448 articles in 25 parts, 12 schedules, 5 appendices and 98 amendments (out of 120 Constitution Amendment Bills). The original Constitution of India is hand-written with beautiful calligraphy, each page beautified and decorated by artists from Shantiniketan including Beohar Rammanohar Sinha and Nandalal Bose. The original hand-written copies of the constitution are kept in helium-filled cases in the Library of Parliament House. Rabindranath Tagore wroteJana Gana Mana in Bengali first. It was translated by Abid Ali into Hindi, in 1911, and officially adopted as the Indian National Anthem on January 24, 1950. It takes 52 seconds to sing the complete National Anthem. Rajendra Prasad took oath as India’s first President on January 26, 1950. Wreaths are placed on republic day by the Prime Minister of India and Chiefs of Armed Forces at ‘Amar Jawan Jyoti’ or the flame of the immortal soldier, a structure with reversed rifle capped by war helmet bound by four earns erected under the India Gate, New Delhi. On Republic Day, a 21-gun salute, the firing of cannons or firearms as military honor, is given to the National Flag and the President, during the Flag Hoisting Ceremony. India’s major national awards (such as Bharat Ratna, Padma Bhushan, Chakra – Veer, Shaurya, Ashoka) are awarded during this ceremony. The Republic Day Celebrations happen over 3 days and it ends on January 29. The ‘Beating Retreat’, a fanfare sounded by the trumpeters along with pipes, buglers and drum bands, is conducted on the evening of January 29, by the bands of three wings of military at Rajsina Hills and Vijay Chowk in the presence of the chief guest, the president of India. The Christian hymn ‘Abide with me’ is played in this event. 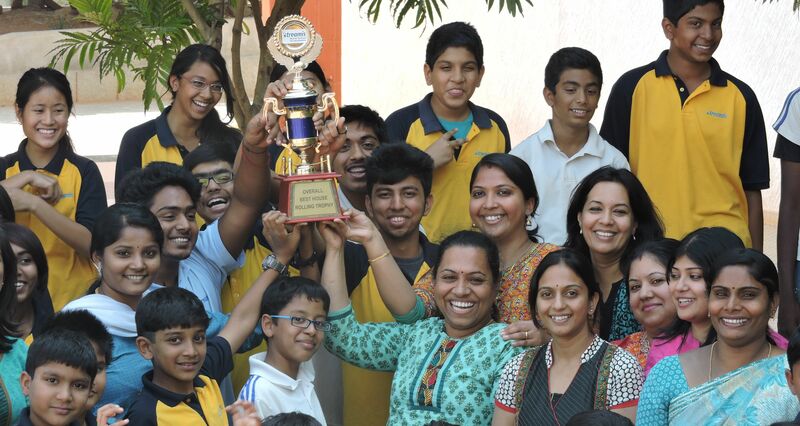 Math day epitomised Treamis’s talent, enthusiasm and devotion to the subject -Math. The day started off with an assembly filled with puzzles, a quiz and a plethora of information from the high school students. Grade 9 organised two plays. Both of them were excellent because they perfectly explained the importance of currency and how exchange rates work. Just when everyone thought the collection of math related acts were over, it was time for the the math parody. From the popular song by Nicki Minaj- Super Bass, came a math parody that was the magnificent cherry on the math day assembly. Students from grades 1-7 were not idle. During the morning half, each class held their own exhibition of math related projects, activities and games. The 7th grade even set up stalls to sell snacks and play games. The afternoon session saw a quiz competition organised for the primary school, while the high school listened to a talk by guest lecturer Prof. KN Srinivasa Murthy. The four R’s at Treamis are Reading, Writing, Rithmetic – and Recycling! Kindergarten students learnt the value of making the best out of the waste and protecting our resources with three activities – recycling, wet waste composting and waste segregation. For the recycling activity, they shaped their waste stationery products into useful items such as hand puppets, pencil stands and drums. They then learnt the colour codes important for waste segregation. Later, they visited the school garden, where the gardener showed them how to use the compost pit and the value of earthworms in the garden. The youngest students had fun and took away some important lessons about their environment at the same time. “Okay, listen up children”, said the teachers “We are going to have a garden of our own here at Treamis”. “Ma’am can we bring green gram?” said one student, another student wanted to bring brinjal sapling, another some red lentils and so on. The enthusiasm of the students was so evident. They could not wait to start on this project. The main objective or purpose of this project is waste management, where wastage of food along with fruit and vegetable peels are used to make manure in a compost pit that has been dug up in a corner of the fruit and vegetable patch adjacent to the playground. Also, it serves as a good means to teach children about healthy eating and also instil a sense of responsibility in the students towards their environment and become responsible for their own self and their belongings. The students of Grades 5, are undertaking the responsibility of maintaining the fruit and vegetable patch. The students of grades 5, 6 and 7 have to collect the food waste from the cafeteria and make a layer of this along with a layer of leaves and mud. Our school gardener Chinappa procured worms from a nearby field and left them into the compost pit. Pots were arranged in rows and columns ready for the students to sow their seeds. Also square patches in between the pots served proper to plant onion, potato, corn, wheat and green gram sprouts. Ragi millets were spread in small pots bordering the entire patch. Apart from these, spinach seeds, green chilli, turnip, raddish were also planted. 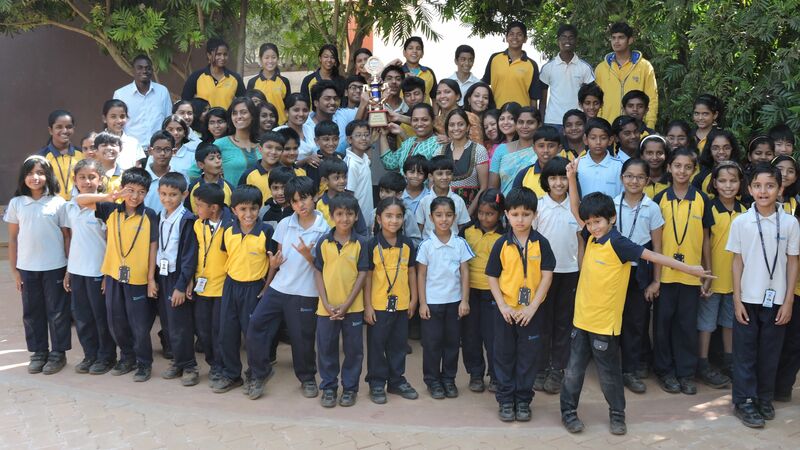 The students were advised by the gardener to water the patch and pots every alternate day. Some stem cut outs of flowering plants were also planted in medium size pots by students of grade 6. Students of grade 7 will be planting fruit trees such as papaya, pomegranate, guava, curry leaves etc.